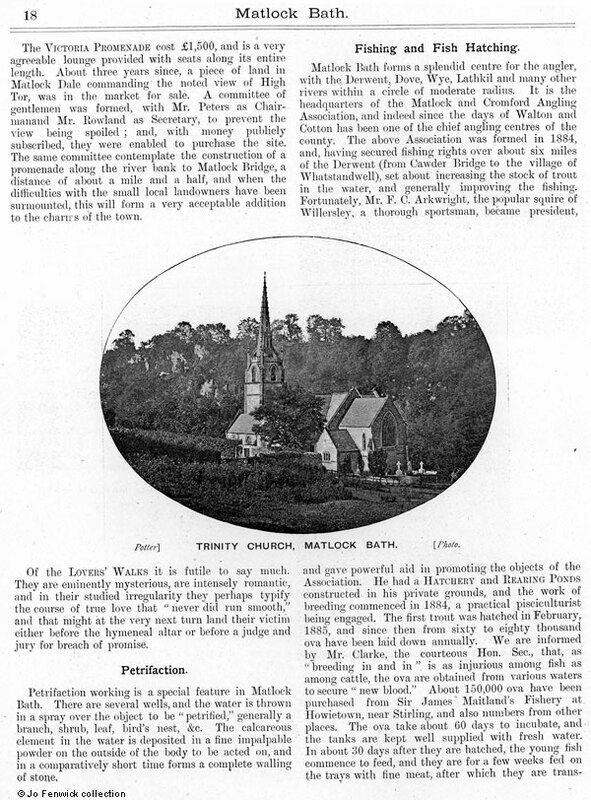 when Thomas Tyack was the proprietor of both establishments. 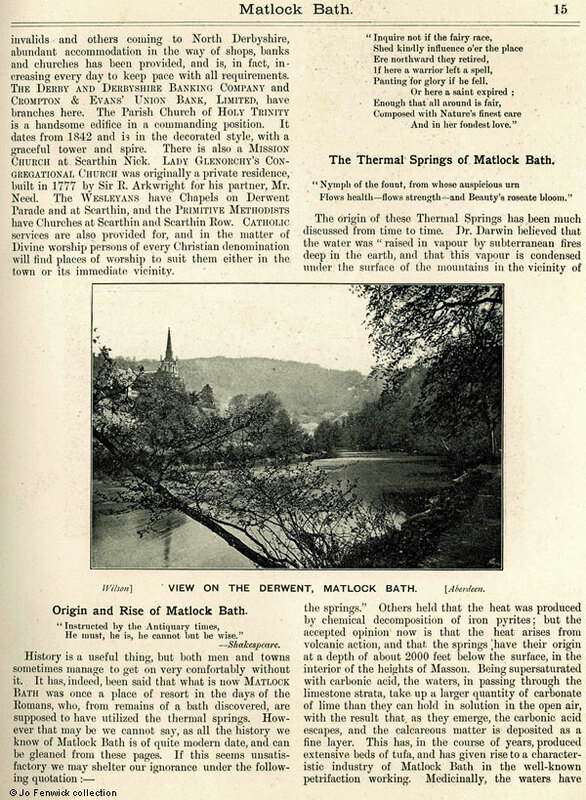 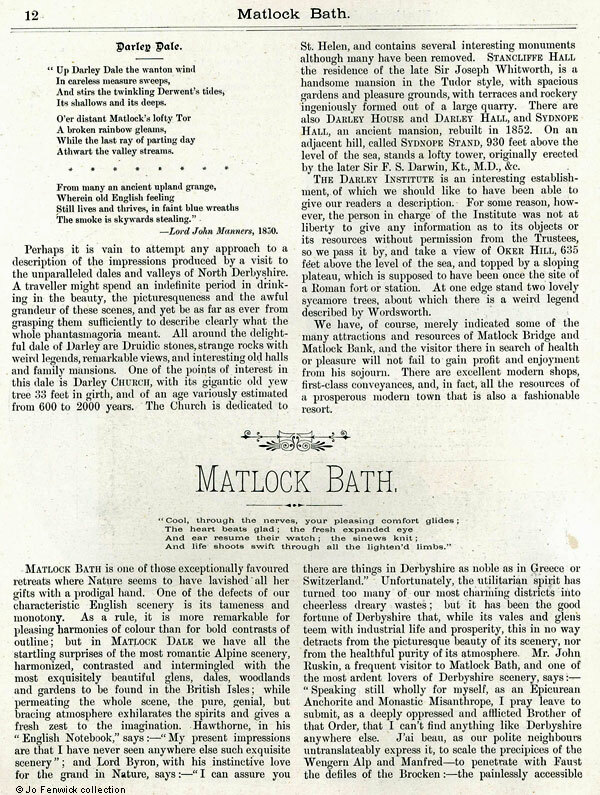 Mr. Tyack had arrived at the New Bath in 1877. 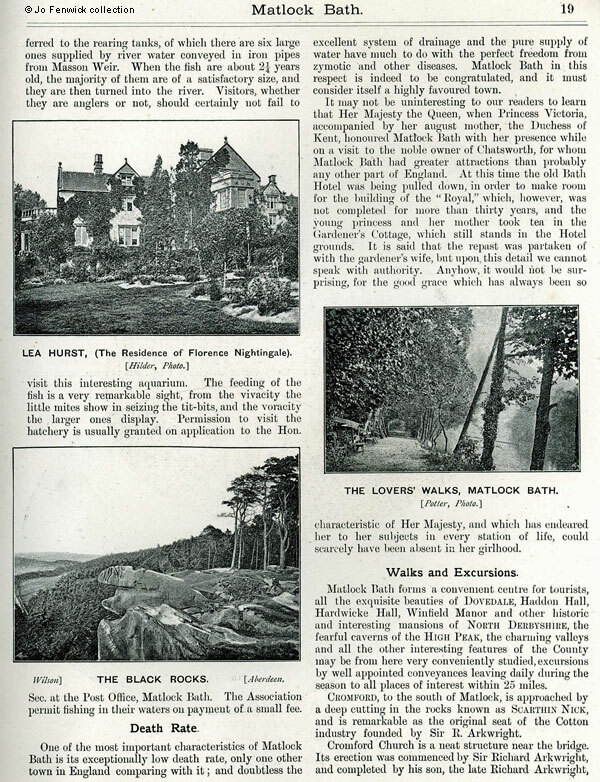 Here is the second half of the booklet. 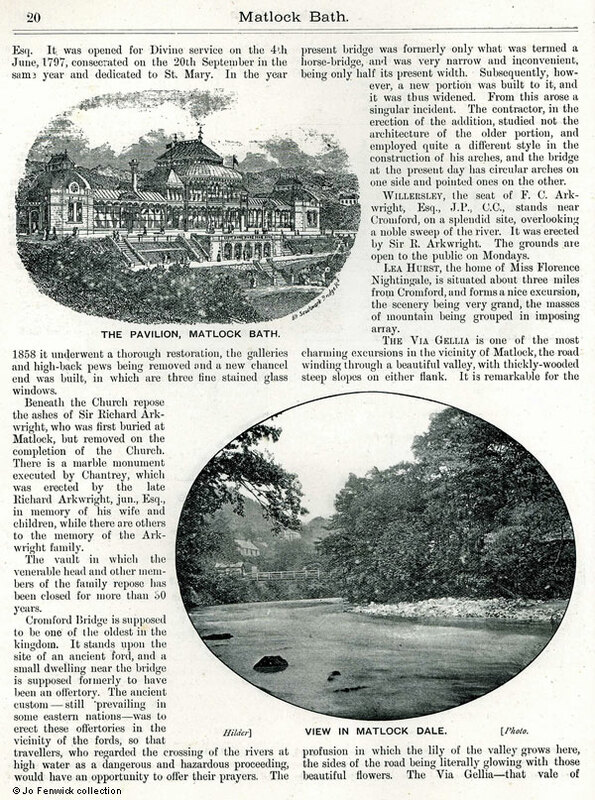 The remainder of the booklet is published on the previous page. 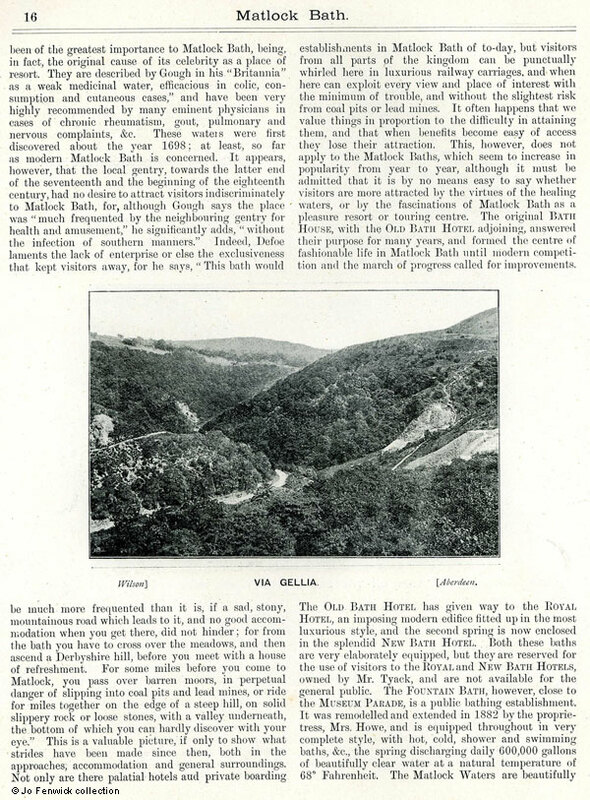 Part 1 is on the previous page. 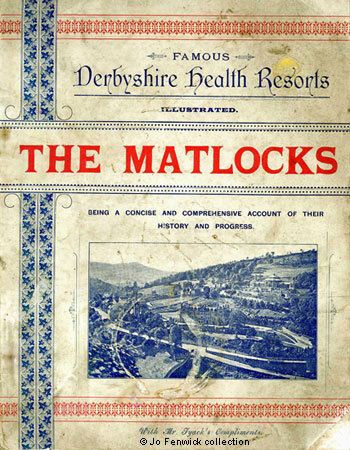 "Famous Derbyshire Health Resorts, Illustrated. 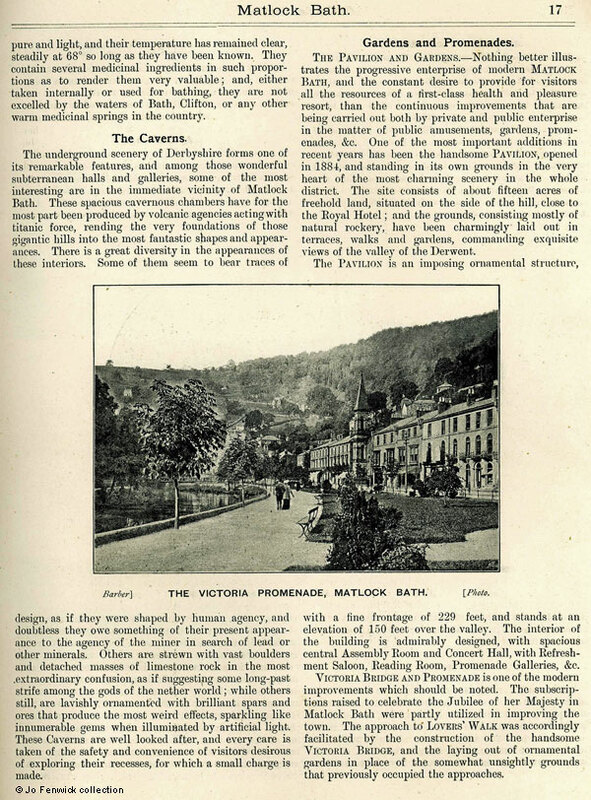 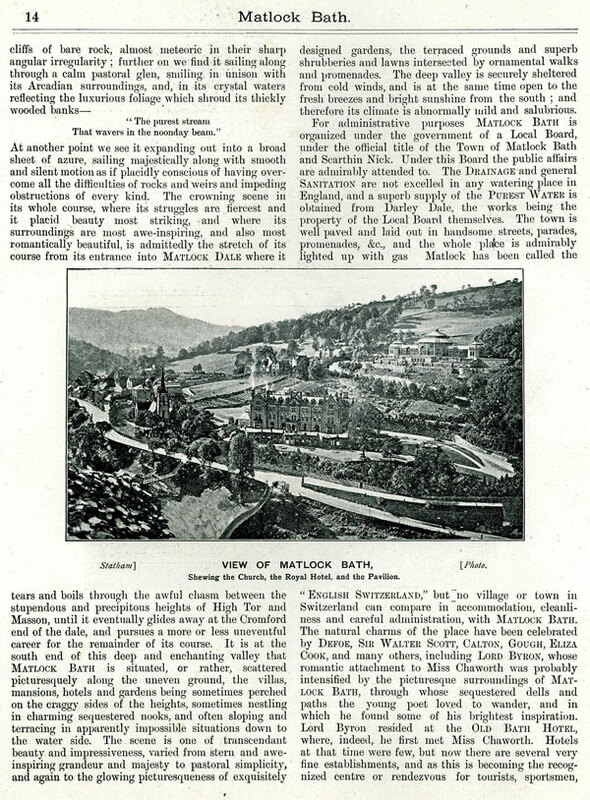 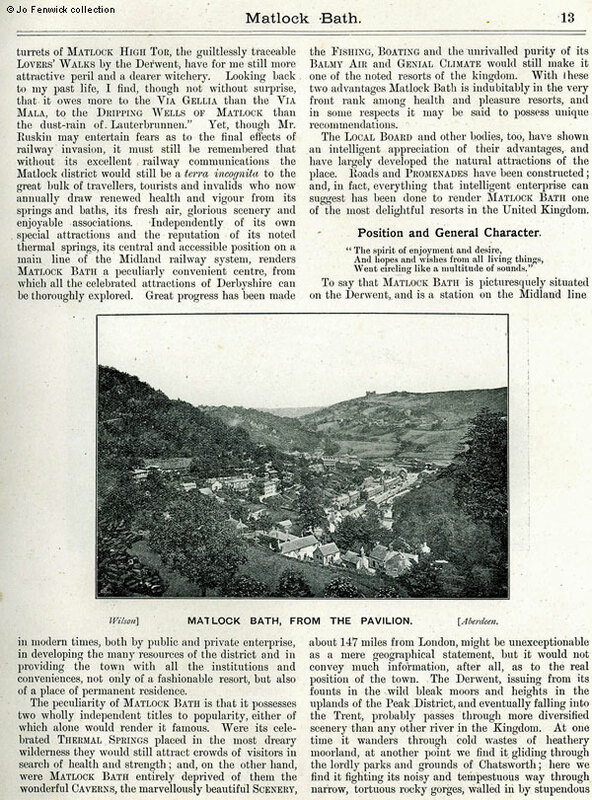 The Matlocks, being a comprehensive guide to their history and progress" Published/printed by J. S. Rochard, 4,5,& 58 Jubilee Street, Brighton. 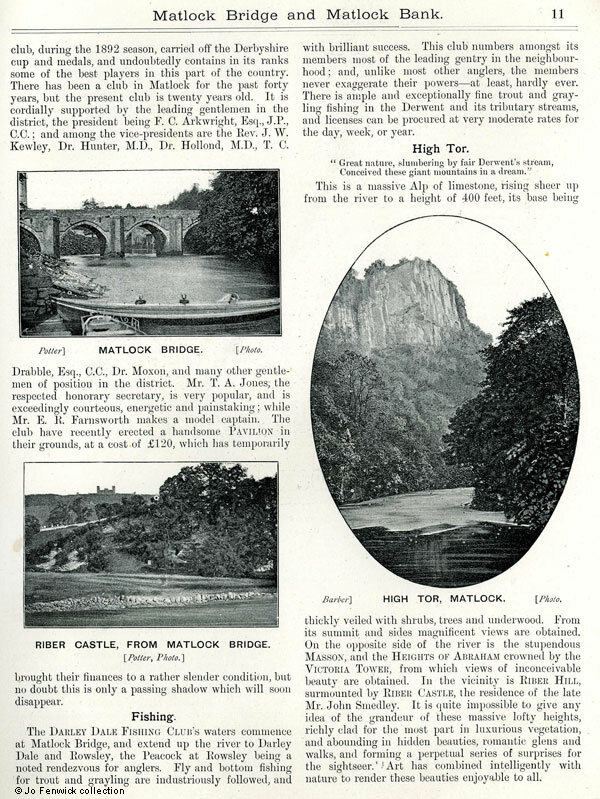 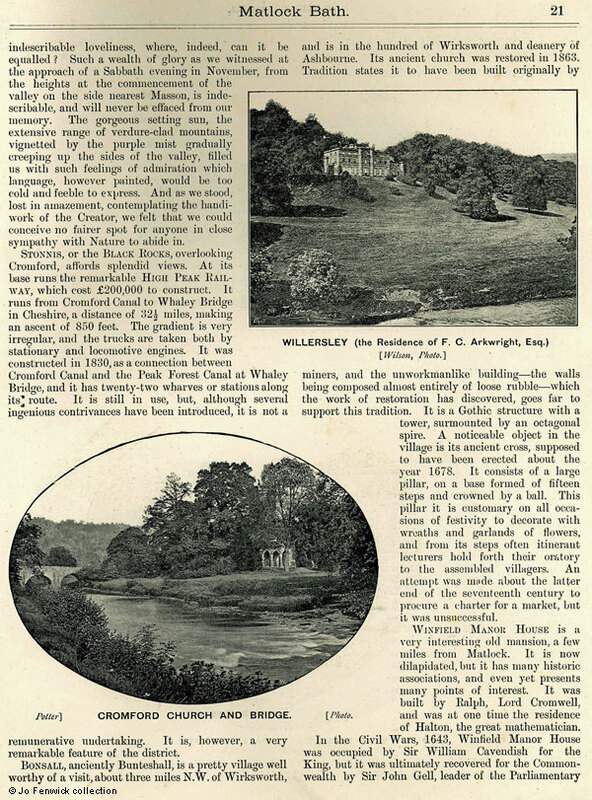 Images from the booklet in the collection of and provided by and © and Jo Fenwick.